Make checks payable to Monument Square District. Please send booth fee to: Sarah Thornton at Main Graphics. 113 North Main Street, Urbana, OH 43078. If you have questions, call Sarah at 937-653-3334. 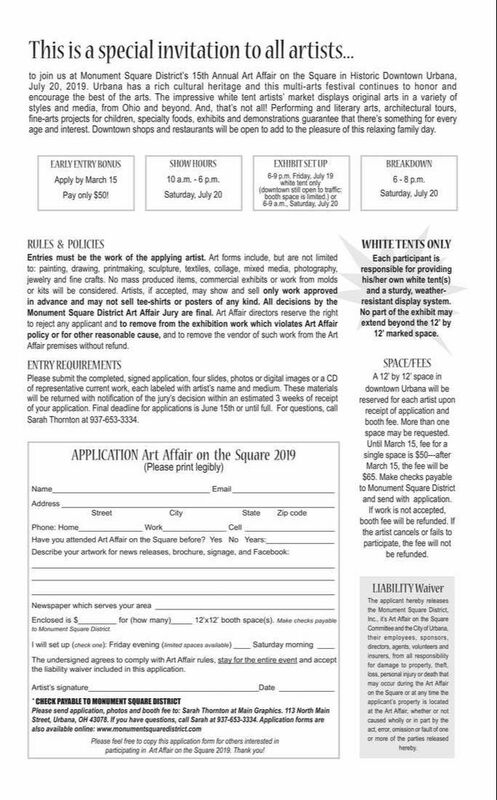 The undersigned agrees to comply with Art Affair rules, stay for the entire event and accept the liability waiver included in this application.